Try these healthy sabudana vada in appe pan and enjoy guilt free healthy snack recipe for your fast/vrat days. 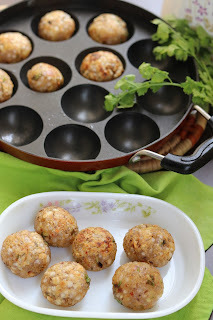 These are non-fried sabudana vada which are best for tea time snacks or can be packed for kids lunch box. 1. Wash sabudana and soak it in water for 3-4 hours or overnight. Water level should just cover sabudana. 2. Drain the water, if any and spread soaked sabudana in a sieve for drying up. Dry the sabudana on flat surface for 1 hour. 3. In a bowl, add all the ingredients and mix together to get a dough. 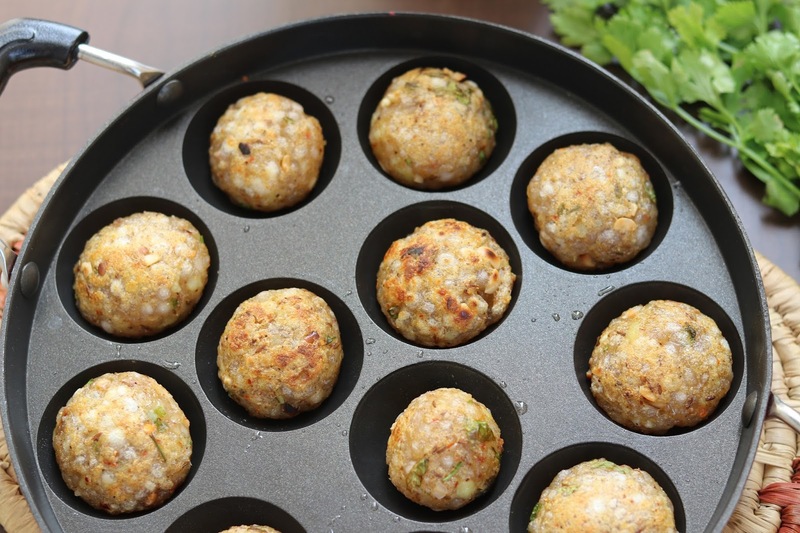 Divide the dough into small lemon sized balls to prepare sabudana vada. 4. 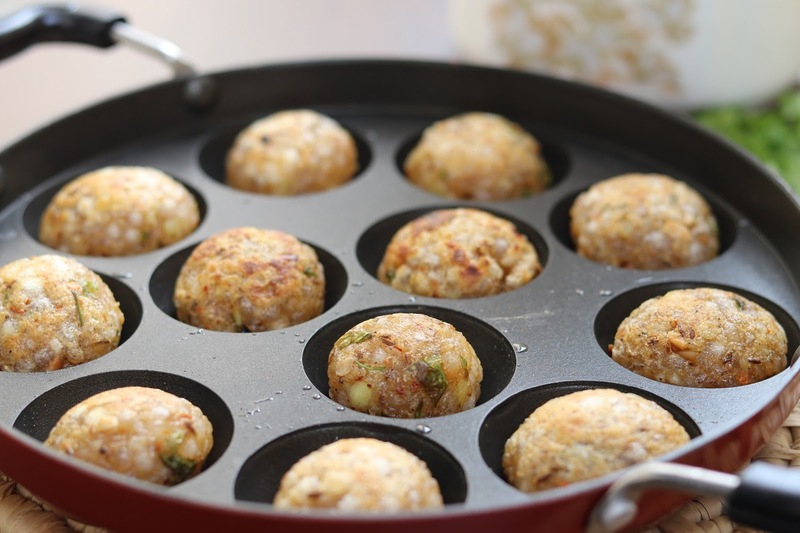 Prepared sabudana vada can be deep fried or can be cooked in appam pan, which is a healthy way to cook these with minimum oil. 5. Heat appam pan, and grease all cavaties with oil. Place all sabudana vada in each cavity and cook vada from all sides by flipping continuously, till sabudana appe become golden brown and crispy. 6. Serve healthy sabudana appe immeditely with chutney or sauce.